Whole, raw vegetables are the cornerstone of a healthy diet. With such availability in the modern supermarket, it can be difficult to choose from a seemingly, never-ending selection of fruits and vegetables. Some choices can be narrowed down according to taste. More importantly, they should be selected according to nutrient content. The beetroot is one such standout vegetable bursting with beetroot health benefits. For now, focus on one item from the long list of choices; consider the following highlighted beetroot health benefits that will help you achieve a nutrient rich balanced diet – which will benefit your body. The beetroot is a tasty and nutrient packed vegetable that you will be eager to introduce into your diet once you learn of its surprisingly wide array of benefits. As many readers know, cholesterol is the fat-like substance that is present in every cell in the body. While not inherently bad, cholesterol levels now need to be kept in check and monitored on a routine basis. We get cholesterol both from within our bodies and in the food we eat. A high cholesterol level in our blood can cause the buildup of plaque within the arteries and if this not addressed it can put our bodies at risk of heart disease. It is prudent to point out that one of the many beetroot health benefits is lowering cholesterol levels in the blood. This takes place because beetroot is a wonderful source of soluble dietary fiber which has been proven to lower cholesterol. Fiber has the ability to reduce the amount of bile that is reabsorbed in the intestines so it is excreted. Because of this bile loss, the liver must create more bile salts, and the compound that is used to create those bile salts is cholesterol. Heart disease is nothing to discount as it is the leading cause of death for Americans. If you have high cholesterol, it is important to consult a professional. Relying on pure dietary supplementation may not be the best option. Often suffering from fatigue and stress, it’s easy to forget to take proper care of our bodies. By taking simple steps and actively participating in our own wellness, a lot of these symptoms can be lessened. Beetroot has been shown to increase blood flow to the frontal lobes of the brain. This takes place because it has high nitrate concentrations and nitrates have a role in opening up blood vessels. When blood vessels are opened up, there is a higher concentration of oxygen being delivered to vital organs. All cells in the body need oxygen, it is one of the main sources of energy that we need to survive and flourish. Studies have shown that beetroot juice consumed by older adults can help to stave off degeneration of cells in the brain that are commonly associated with dementia and other neurological disorders. Rich in iron and other nutrients, the beetroot benefits our health in several different ways and is a welcome addition to anyone’s alternative health protocol. beetroot health benefits through juicingEven though there will always be things that we can do to improve our health, it’s no secret that exercise plays an important role. Because beetroot juice increases blood flow and the nitrates actually decrease oxygen uptake, the result is that you can exercise longer and gain some much needed increased stamina. Even if strenuous exercise isn’t your thing or you have a condition that prevents you from intense physical activity, the added stamina will help you in your everyday life. Research has shown that when beetroot juice was consumed, participants experienced a twelve percent lower effort to walk because of a lower oxygen demand. Reducing the amount of oxygen required by the muscles during activity is likely to make physical exercise much more enjoyable. There is no other known vegetable that has these exact properties and the list of beetroot health benefits goes much further than what is referenced in this article. We come into contact with toxins quite often in this day and age. Everything seems to be processed and wrapped in plastic. Now, we can’t control everything and we all make poor choices on occasion, but that doesn’t mean there’s no hope. Beetroot health benefits include being a perfect aid in the detoxification process. When coupled with other vegetables as part of a balanced and nutrient-filled diet, you can use it to cleanse your body from all of the harmful chemicals and toxins you have been exposed to over the years. First, let’s provide a quick background into Adrenal Fatigue Syndrome (AFS). AFS is a condition where the adrenal glands are placed under too much pressure to combat external factors such as illness, stress, and sleep deprivation. An extremely prevalent condition, exhausted adrenal glands can prevent the body from exhibiting an appropriate response to stress which can lead to all sorts of problems like depression, guilt, anger, lethargy, and even lightheadedness. Here is where we tie in beetroot health benefits. Earlier we touched on the ability of beetroots to increase the flow of oxygen to the brain. This is significant because when the brain is starved for oxygen, it cannot send and receive signals as efficiently as it normally would. Any time there is a deficiency in the body, one can experience brain fog which is a well-known symptom of AFS. This phenomenon is mainly because the beetroot is so rich in nitrates. Nitrates are natural compounds which are found in water, soil, plants, and even our bodies. When they are consumed from natural and whole food sources, they are completely safe and can help to prevent strokes and heart problems. Toxic exposure can cause an illicit and inflammatory response from the adrenal glands. The compound tasked with this is called cortisol. When a person has high cortisol levels, they are subject to immunological risks among others. It is important that AFS sufferers detoxify their bodies in order to put a lesser burden on the adrenal glands. When your body undergoes detoxification, it has the ability to reset itself. Just because you have been treating your body poorly for years and have just decided to make a change doesn’t mean that things are hopeless. beetroot health benefits and vegetablesIt’s never too late to balance your body in a healthy way. 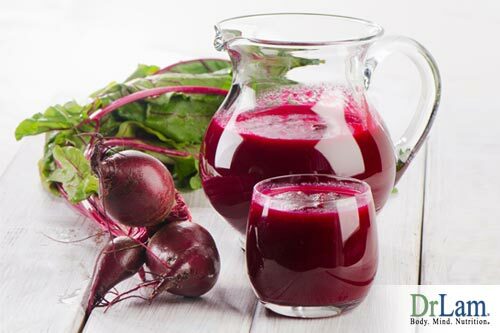 A beetroot detoxification may be just what you need to boost your immune system. If you have a weak immune system, you are much more susceptible to chronic issues with infection and that is a very common contributing factor associated with adrenal fatigue. Those with mild AFS can consider this nutrient, but those in advanced stages of AFS needs to be very careful as over zealous detoxification can trigger adrenal crashes and worsen your condition. Our bodies are equipped with a built-in system to manage stress. The NeuroEndoMetabolic (NEM) Stress Response is the system that our bodies use to communicate the messages associated with managing stress through chemical signals known as neurotransmitters and hormones. Proper functionality throughout this system is imperative to ensure sustainable reactions to stressors. Though each part of the process is necessary, one of the most important organs involved in our NEM Stress Response is the heart. Sufficient blood flow and oxygen are imperative for proper heart function and beetroot health benefits can assist in this process. Again, the nitrates come to our aid by expanding blood vessels and lowering muscle cell oxygen uptake to provide a surplus of oxygen to the heart in times of rest or stress. Oxygen is also necessary for proper cell regeneration – which is extremely important when maintaining healthy organ function. To take the comparison of beetroot supplementation and stress response one step further, we can examine the relationship between iron intake and fatigue. Beetroot is high in iron which can help many symptoms of a dysfunctional NEM Stress Response and AFS. Adequate iron intake can assist in reducing chronic deficiencies, cough, anemia, and more. Some of our readers who are currently suffering from AFS already know that a compromised immune system is a large contributing factor for NEM Stress Response failure. Chronic deficiencies cause elevated cortisol levels, and this leads to increased inflammation further into the progression through more advanced stages of adrenal fatigue. Iron is easily absorbed and digested thanks to high levels of dietary fiber. This also happens with a host of other micronutrients contained in beetroot. How Should I Prepare Beetroot? There’s no wrong way to prepare your beetroot for a meal – aside from ignoring it. Many people choose to blend it into smoothies because it is abundant in natural sugars which lend to its sweet taste. The smoothie is also a wonderful option because you are able to place raw, unadulterated, beetroot directly into the mixture. All you need to do is remove the skin, and you’re ready to go. If you are not a big smoothie drinker and would like to use it some other way, there are other applications in salads, as a side dish, or even in baked goods. There is one important issue to make note of with beets. Though not terribly serious, you should still be aware that it stains everything it touches. Be careful when preparing or even during consumption. Take the necessary precautions to protect against accidental staining or damage to clothing, preparation materials, and even your skin. beetroot health benefits that workThere is always extra room in our diets to add a valuable new food item, and in this case it’s the beetroot. Whether you’re feeling great and wish to maintain your current health or you are trying to move along the path to recovery, it is a prudent decision to add a vegetable this beneficial to your dietary protocol. Advice aside, always take care to make an informed decision on what best fits your dietary needs as an individual. What works for one person might not work for another so you should always be mindful of what you put into your body. Now that we’ve discussed several of these beetroot health benefits, it’s time to get out there and try it.